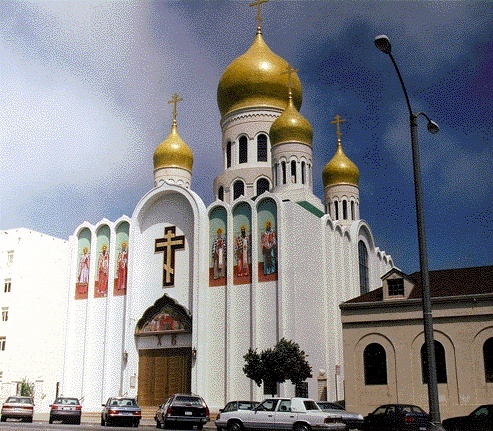 This Russian Church dominates its stretch of Geary Boulevard in the Richmond, Holy Virgin Cathedral at 26th Avenue. The Richmond District is home to a Russian enclave that is centered on Geary Boulevard. An older Russian community lived on Clement Street twenty years ago. This community disappeared, however, as its residents moved out into the suburbs or became more acculturated. In the past decade, however, this community has seen a tremendous rebirth as more immigrants come to San Francisco to escape the economic hardships caused by the break up of the Soviet Union. Many Russian Jews have also come to San Francisco to escape government-sponsored anti-Semitism in their homelands. Dozens of Russian stores, restaurants, and companies have established themselves on one stretch of Geary. The community is also home to the Russian Orthodox Christ the Saviour Church on 12th Avenue and Anza Street. Parallel to the increase in Russian immigration to San Francisco, the Church has noted a dramatic increase in enrollment in their Russian-language classes. This community differs along religious lines, mostly Jews and Orthodox Christians, but they can be counted on to come together for cultural celebrations. 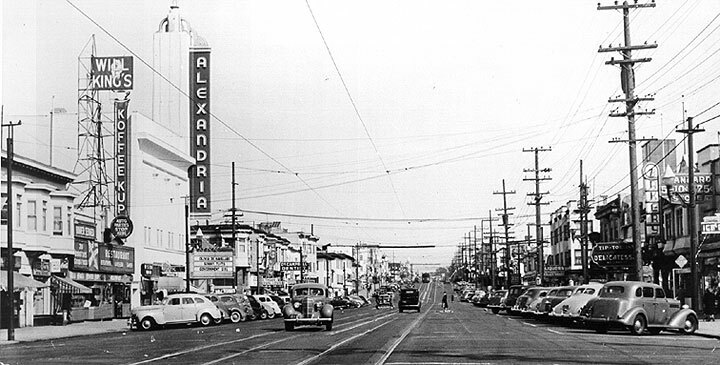 Geary at 18th Avenue, near the heart of the Russian-dominated part of the Richmond District now, seen here in 1933. 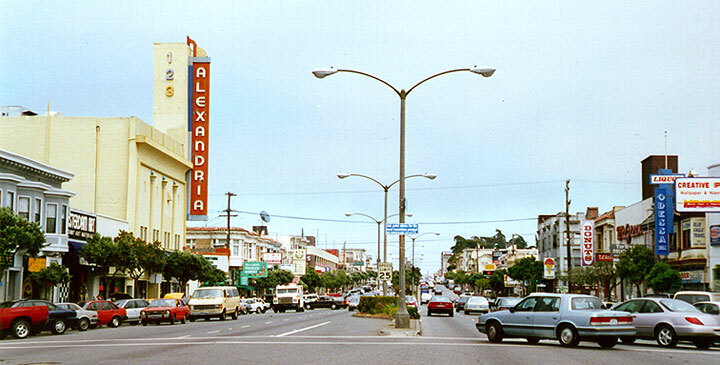 Geary at 18th Avenue in 1997.